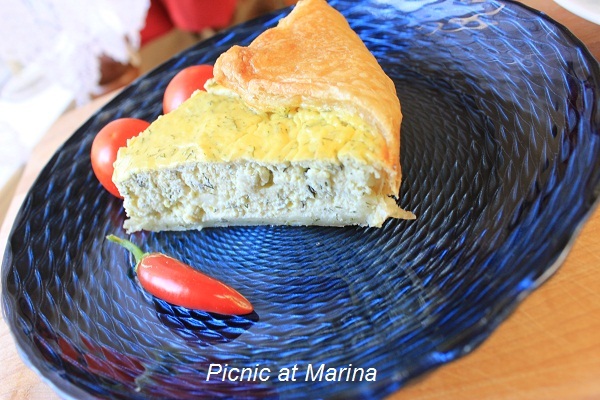 Picnic At Marina: Welcome To My Labor Day Picnic: It's All About A Pie! Welcome To My Labor Day Picnic: It's All About A Pie! Looks beautiful and delicious. Love your pictures. That apple pie is beautiful! Almost too pretty to eat. They all look delicious Marina! I want all your pies, absolutely delicious! Looks like an awesome picnic! great photos, Marina! Hi Valentina, I am glad you visited my blog and left a kind comment. Your english is not bad at all :) Thanks you, my friend! All these look extremely edible. Love the idea of dill and ricotta pie! And what pretty picnic cloths and baskets. What a cool idea, all things pie at a picnic. Have a great day. Marina, this looks like a wonderful picnic! Count me in! Your pies are beautiful and so unique! Beautiful! I love the idea of a picnic with pies! 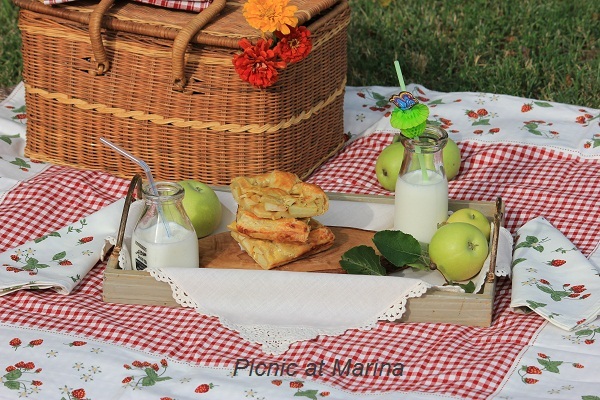 Great picnic and delicious food Marina- a perfect combo :-D And I love the basket. Is it a picnic basket or just a regular basket with a lid? Wonderful photography and great food. Looks all so good! I'm already hungry, so I should not have looked at this! 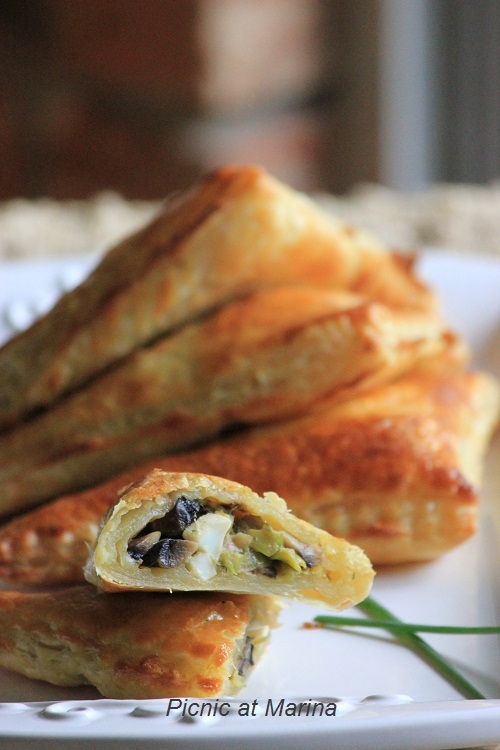 That mushroom and leek egg pie looks mouthwatering. That is one picnic I would have loved to share with you! Thanks for stopping by my blog and leaving the nice comment about my fall arrangement. Now this is my kind of picnic! Pie, pie, and more pie! I would certainly be happy with a serving of each of the 3 but, I must admit, I am partial to apple pie and that lattice pastry top looks oh, so very good, Marina. I don't think I'd make it to the other pies if apple were served first. Now, a week later, I want some of that mushroom pie too...:) Thanks Lizzy, for joining my picnic. Great, Marina! 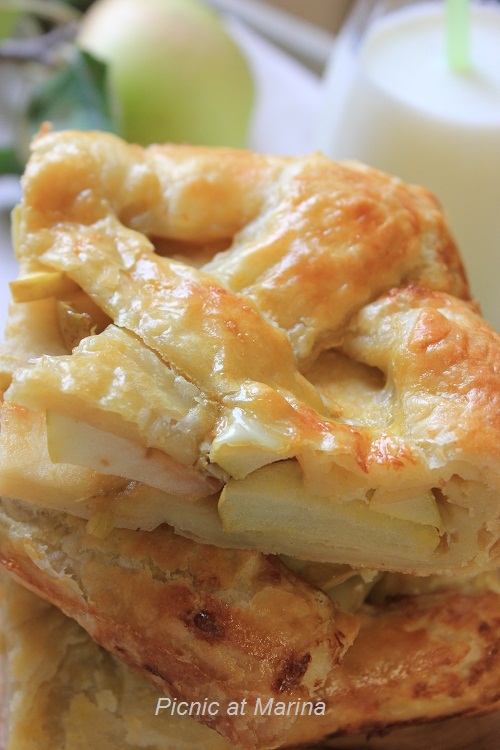 A pie picnic is my kind of picnic and yours look and sound perfect! Love them all! Your photos are wonderful! Lol, then I can make some extra apple pie next time! :) Thanks for visiting! These pies look absolutely mouthwatering Marina! I love them all and I would love to go picnic with you and your delicious treats! Totally beautiful photos. If they were all available at the same time, I don't know which I would choose for the first bite. Wow Marina! I've never been on such a delicious picnic! Lovely photography! Ahh... you presented this so well, I feel like I'm right there enjoying a picnic with you!! Can't wait for apple season to start!! Definitely all about pie and I am loving everyone of them. I bet that was a fine picnic. Happy Sunday to you.